Note: This does NOT include the new Pi Zero W. This includes the original Pi Zero v1 model, which does NOT include built-in Bluetooth and WiFi. If you are trying to buy the trendy new Pi Zero W Budget Pack, you are not on the right page! Adafruit Raspberry Pi Zero Case - our sleek, simple, rugged Pi Zero case! 8GB SD Card - May come blank or pre-burned with NooBs! 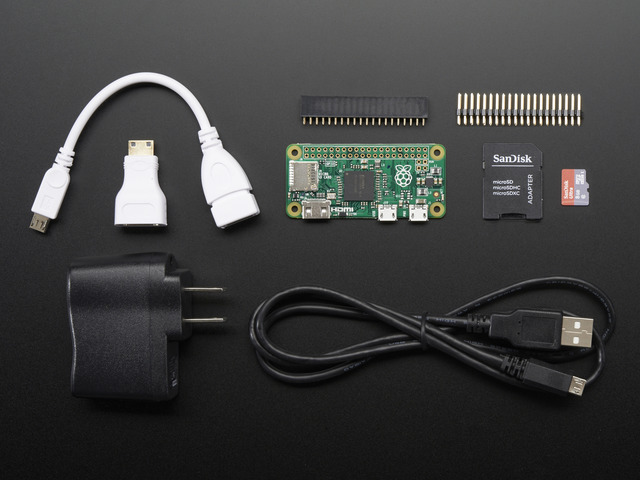 5V 1A Power Supply & USB A/Micro B Cable OR 5V 2.4A Power Supply w/ Micro USB Cable - the best way to power up your Pi Zero with a stable 5V power supply that wont vary or sag.